Don’t Use Youtube’s Auto-Caption to create subtitles. Don’t use Youtube’s “Auto-Caption” – it does a terrible job. 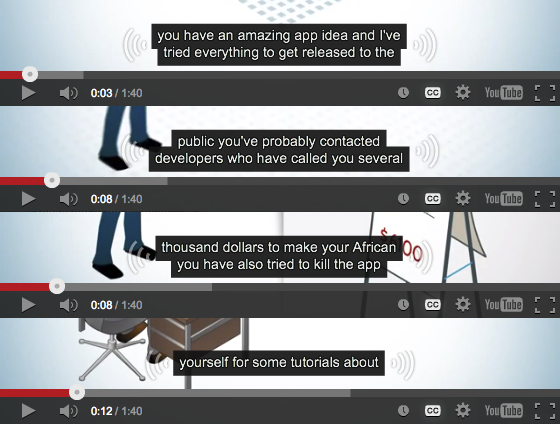 Below is Youtube’s “translation” of spoken audio to auto-captions. Youtube’s Auto-Captions are horrible. It should really be called Auto-Craption. It leaves out punctuation, turning everything into a run-on paragraph. Words and phrases it doesn’t understand are mistranslated, creating captions that, at best makes no sense. At its worst, you’ll be laughing at how horrible the captions are. Far better to just do Closed Captions for Youtube properly. The best part is the software doesn’t cost you a cent. You can use AegisSub. It’s free, and works with OS X, including the newly released Yosemite. It’s pretty easy to use. Transcribe your audio, then set up timing so each subtitle appears when spoken. When you’re done, export the subtitles as a .srt (SubRip) file. Go to your Youtube page, select the video, and upload the .srt file. 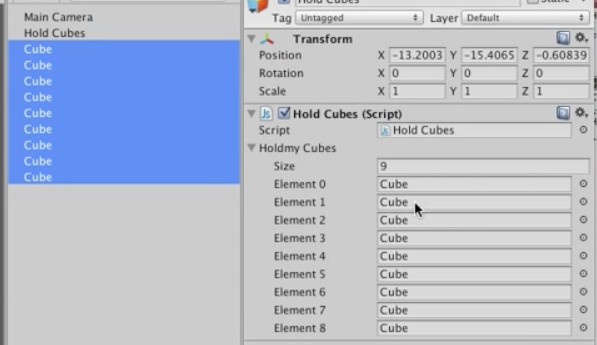 Quick video showing how to add multiple game objects to an array variable in the Inspector in Unity3D. With audio, and Closed Captions. Comparing calling a function directly in a script vs using SendMessage to a Game Object. Two counters start simultaneously, counting to 1,000 and sending the int ‘1’ to a function in another script. SendMessage takes just over twice as long to perform the same feat as Direct Function (209%). SendMessage has an advantage in that you don’t need to know the name of the script on the GameObject you’re sending the message to. Direct Function needs to know the name of the script. Aside from being faster, Direct Function can also send more than one parameter to a function in another script, so you could send a string, float, int, Vector2, Vector3 and more in one single code, provide the function you’re sending them to can receive those parameters.